We setup custom forms just the way you need. 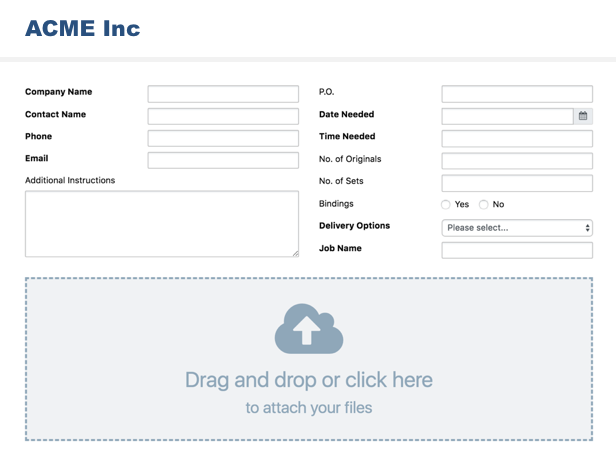 Your customers can fill out the form and drag-n-drop their files. We provide you with a dedicated upload page, branded for your company. Or you can embed the upload form directly on your own website. No special software or plugins to install. Mobile friendly. 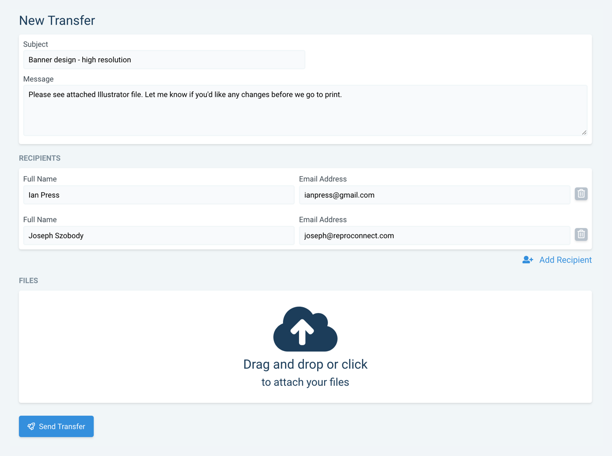 Type a message, provide one or more recipients, and drag-n-drop your files. We send your recipients an email notification with your message and a link to download the files. FileRocket tracks when each recipient has opened the email and downloaded your files. We put your company front and center. 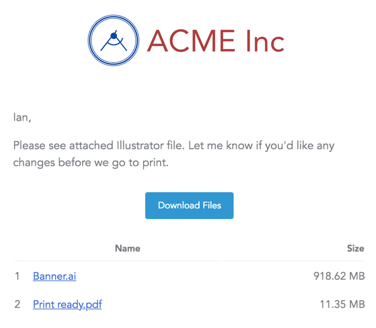 Anytime a FileRocket email is sent to a customer, it is branded with your logo. 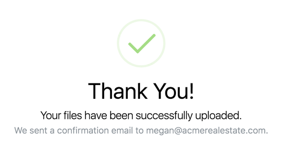 Ready for a better file transfer solution?